The K&M 18860 Spider Pro Stand features an ergonomic design for an optimum hold on your keyboard. The intuitive spider leg base benefits the weight distribution and stability of the stand, making it suitable for uneven surfaces. 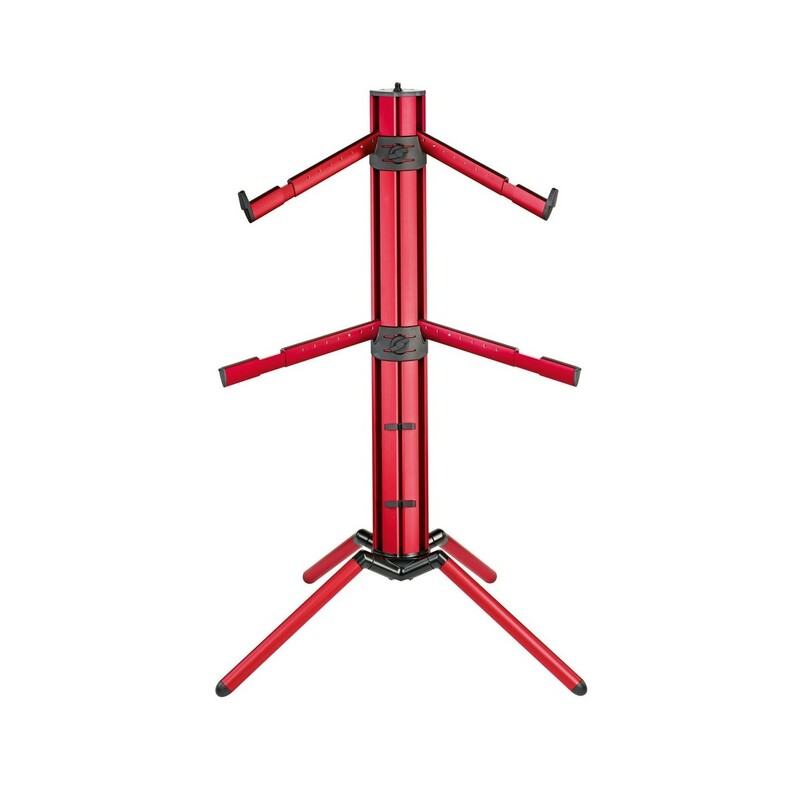 The two tiers can each hold up to 35kg of weight, making this unit ideal for gigging musicians. 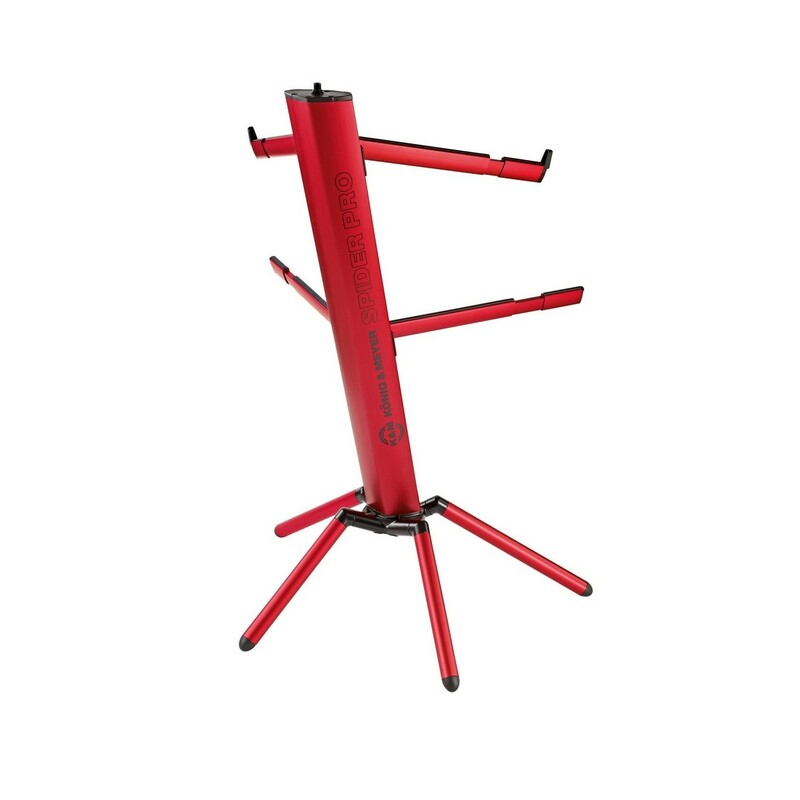 The upper tier benefits from 15-degree tilt for a more comfortable playing position. 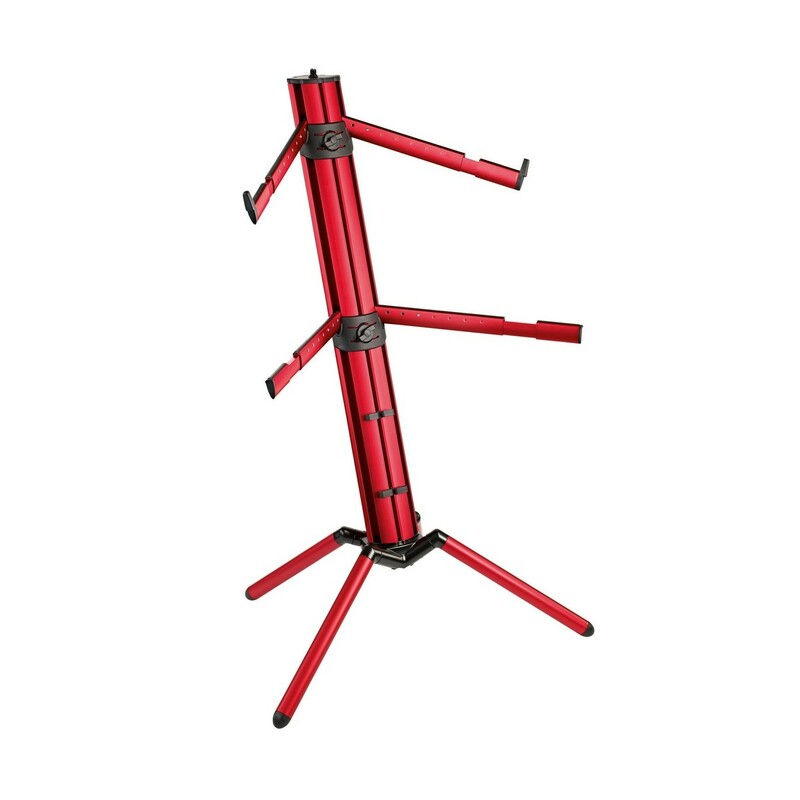 As well as keyboards, the Spider pro can also support a boom microphone stand on its top connector for musicians also doing vocals. The fully aluminium design keeps the Spider both lightweight and strong. The rubberised feet and tier-tops keep both the stand and keyboards secure.